I'm convinced I've found the two men who are singlehandedly redefining what the word "local" means to the Twin Cities--and national--food scene. "When you say 'local' people think of vegetables right away. But there’s so many different aspects of local that tie into food." This is Frank Jackman, co-owner of the Twin Cities-based mail delivery meal kit company, Local Crate. Mike Stalbaum and Frank Jackman launched Local Crate in November 2015. They left their corporate jobs in "big food" after completing a successful Kickstarter campaign to fund their idea. "We kicked around quite a few ideas before we settled on Local Crate," Mike explained. "But always around local food." How their service works: Customers go online and pick from 11 different recipes every week (there's always diet-sensitive options, too). Crates are shipped directly to the customer's doorstep, complete with every ingredient you'll need to make the recipe, a recipe card with a step-by-step instruction card to guide you through the cooking process, and information about one of the local farmers or businesses that supplied ingredients to Local Crate that week. 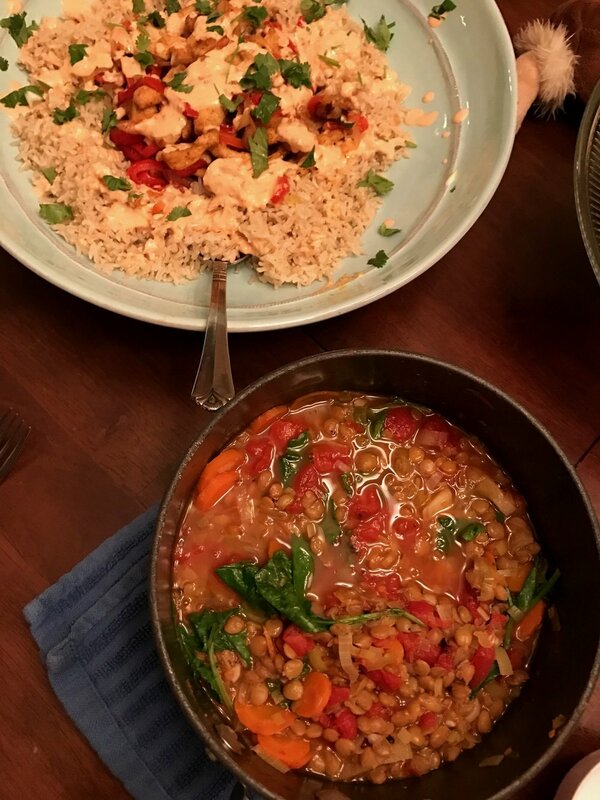 "You can cook without thinking about it," explains Mike. "Nobody has to decide what to cook, and everybody knows what they're going to be eating. It saves a lot of stress." It may seem like a simple concept, but Mike and Frank have turned their business into a local machine. 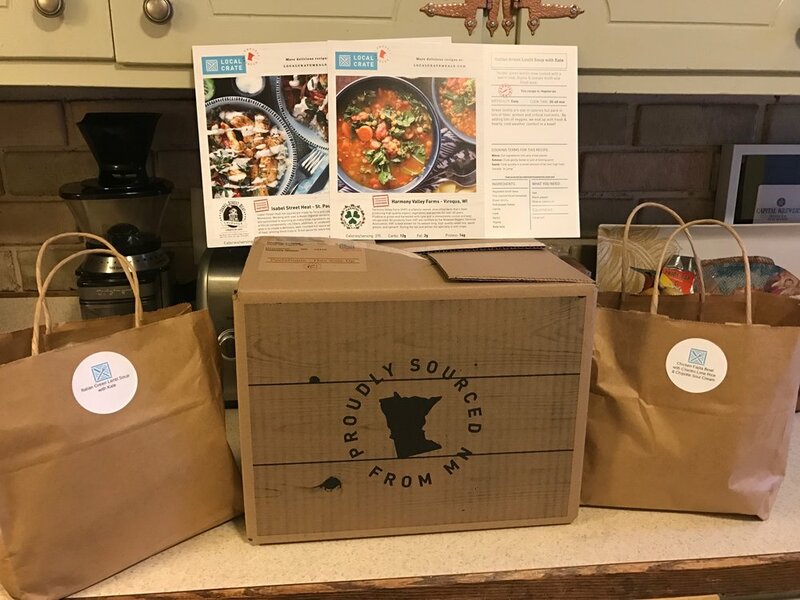 Not only do they source almost every ingredient from within a 150 miles radius of the Twin Cities (rising to the challenge of keeping a diversified menu come the winter months in Minnesota), they also partner with local chefs to develop their recipes, and support local hunger relief organizations. "Everything that we had a gripe about while working in big food," says Jackman "we are able to do the exact opposite of and feel good about what we're doing." Stalbaum and Jackman expect to continue to see their business grow, and have dreams of setting up similar operations in multiple states. "Our goal is to become the first locally national food company in America. Forget mass distribution, and have more depth distribution. Bringing in the seasonality aspect of it," says Jackman. With their level of enthusiasm and ability to successfully think outside the box...er, crate...I wouldn't be surprised to see their dreams take fruition before long. Who did the team nominate for my next post? One of their great suppliers of vegetarian proteins and the Twin Cities' landmark vegetarian/vegan destination...The Herbivorous Butcher! Stay tuned to find out what makes them so great.